To Javarious (Paso) Robinson who was talented beyond measure, filled with joy, and unafraid to dream. We want to thank you for being a part of our lives. Your ambition, contagious smile, and sense of humor inspired and uplifted all those you came into contact with. While your life on earth was brief, your light and legacy will live on forever. You will be missed by many, but most by your mother and father, Benita Robinson and Daniel Brown, who loved you deeply. One of the last messages you left us with was ” for every loss, there is a blessing gained”. In the wake of your loss, we find solace in the fact that you served as a blessing to us here on earth and that you will serve as a blessing to us in heaven. 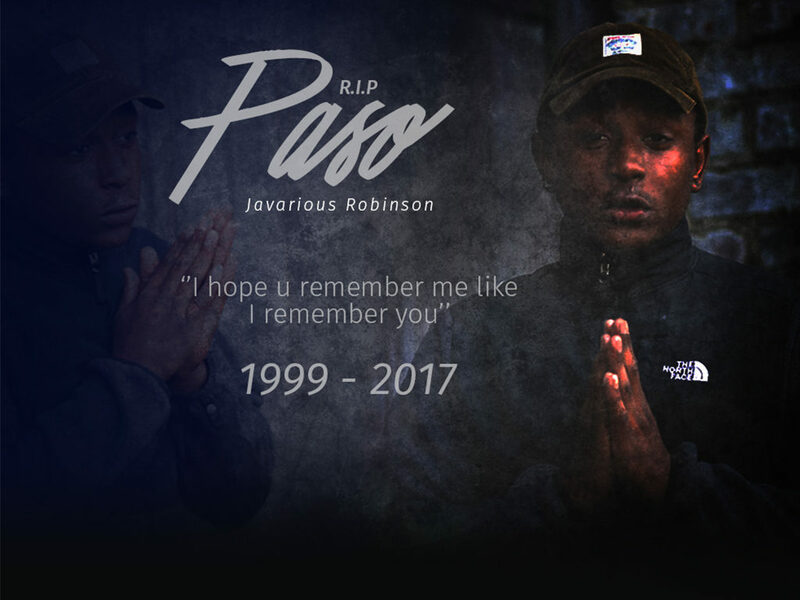 Long live Paso, we loved you every day and we will miss you every day. Your brightness will shine within our hearts for all time, you were truly one of a kind.